Kyocera Mita, the successful enterprise-oriented printer/copier division of the $11 billion Kyocera group, has launched a range of multifunction printers (MFP) in the Indian market, called Smart MFP’s. Featuring a variety of advanced features built-in at no extra-cost, Kyocera Mita makes regular office document processing surprisingly affordable. To start with, two series of Smart MFP machines are going to be launched - Monochrome 25 and 30 ppm printers, and,. Brilliant Colour 20 and 25 ppm printers. These machines are expected to allow even people planning to buy entry level machines to look at the option of upgrading to colour. 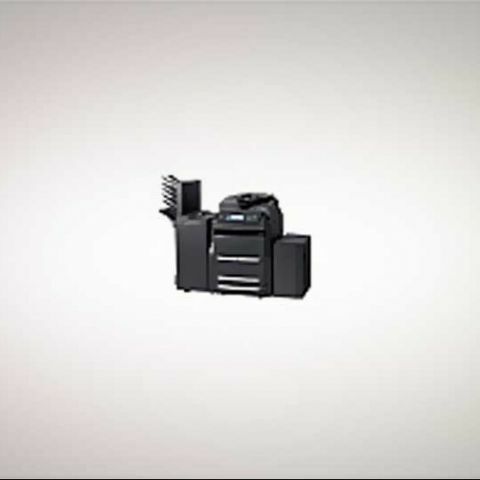 Speaking on the launch of the new range, Mr. K. Swetharanyan, the Managing Director of Kyocera Mita in India, said the new range will "redefine simplicity in printing." Mr. Dilip Kanth, Vice President - Sales and Marketing, added: "As with all Kyocera Mita machines, these new machines will have one of the lowest TCO (Total Cost of Ownership) in their respective class".